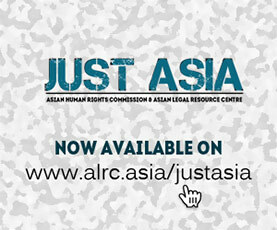 The Asian Human Rights Commission (AHRC) has received updated information regarding the latest limitation of freedom of opinion and expression in Thailand. According to Thai Lawyers for Human Rights (TLHR), on 15 November 2016 at 3:40 p.m., police officers from Chanasongkram Police Station arrested 71-year-old Bundit Aneeya from his house. The police informed the elderly writer that he was accused of committing an offence under Article 112 of the Criminal Code (lèse majesté offence), for allegedly making comments about the Thai monarchy at a political seminar about the junta-sponsored constitution drafting process on 12 September 2015. After his lawyer from TLHR filed the second petition asking for bail to the military court, he was released on a surety bond of 400,000 Baht (approximately 12,270 USD). He is one of the few lèse majesté suspects granted bail by a military court. On 15 November 2016, police officers from Chanasongkram Police Station arrested a 71-year-old writer known by his pen name Bundit Aneeya, from his house in Nong Khaem District, Bangkok, Thailand. The police informed Mr. Bundit Aneeya that he was accused of committing an offence under Article 112 of the Criminal Code, or the lèse majesté offence. This is because one year ago, he was making comments about the Thai monarchy at a public political seminar, namely “The Constitution of the Kingdom of Thailand?” at Thammasat University, Bangkok, Thailand. However, the police had not yet issued any summons before they arrested Mr.Bundit Aneeya. In addition, after the inquiry official informed the charge and received statement from Mr.Bundit Aneeya, he was detained under police custody for one night. On 17 November 2016, Mr. Bundit Aneeya was brought to the Bangkok Military Court. The police claimed that the alleged comment was made before the National Council for Peace and Order (NCPO), the junta ruling body, abolished the trial of civilians in military court. The inquiry official stated that on 12 September 2015, Mr. Bundit Aneeya was participating in a public political seminar, namely, “The Constitution of the Kingdom of Thailand?” This event was organized by the New Democracy Movement (NDM), the pro-democracy activists which formed after the coup 2014, at the Faculty of Sociology and Anthropology, Thammasat University, Tha-Prachan campus. The police from Chanasongkram Police Station also attend the seminar, to maintain ‘peace’ and looking for any ‘news’. During the seminar, participants were allowed to make comments. As a participant, Mr. Bundit Aneeya commented about impunity, human dignity, justice, and democracy, and how they should all be included into the new constitution. According to the police, this comment threatened the Thai Monarchy and violated Article 112 of the Thai Criminal Code. The inquiry officials had been collecting evidences and requesting for issuing an arrest warrant from the Bangkok Military Court on 14 November 2016. Then, the police presented the arrest warrant for arresting Mr.Bundit Aneeya at his house on 15 November 2016. Mr. Bundit Aneeya denied all charges against him. The inquiry official of Chanasongkram Police Station asked the court to have him remanded for 12 days, claiming his case involved national security. Mr. Bundit’s attorney filed a motion to object to the remand request, citing that Mr. Bundit Aneeya was not committing any crime, but he just exercised his right to freedom of expression for reforming the country. Mr. Bundit Aneeya was an independent writer who had no regular income. He was 71 years old, therefore, it was very difficult for him to flee or jeopardize the investigation process. Moreover, he has been diagnosed with psychosis, has only one kidney and has to carry a urine drainage bag with him all the time. However, the court dismissed the attorney’s motion because of the inquiry official’s request. The court also confirmed that his case was deemed to threaten national security and the amount of money was not enough for granting bail (300,000 baht or approximately 8,400 USD). Although the court persisted to issue a writ to Mr. Bundit Aneeya, his lawyer decided to ask for bail by submitting 400,000 baht or approximately 12,000 USD to the court. This was accepted, and on 17 November 2016, he was released on the conditions of not travelling abroad, no involvement in political activities or making political comments. At the end of the public seminar, the police and military officials invited Mr. Bundit Aneeya to participate in an “Attitude Adjustment Program”. At that time he was not charged with any offence. According to Prachatai, this is the third accusation of lèse majesté filed against Mr. Bundit Aneeya. In the first case, the self-taught writer and translator, who has written and translated over 30 books, was found guilty by the Supreme Court in February 2014 for comments at a seminar he attended and sentenced to four years in jail, but the jail term was suspended for three years due to his mental illness. The allegedly lèse majesté comment that he made also pointed out the general opinion of Thais toward the monarchy. He was arrested by the police before he could even finish the sentence. 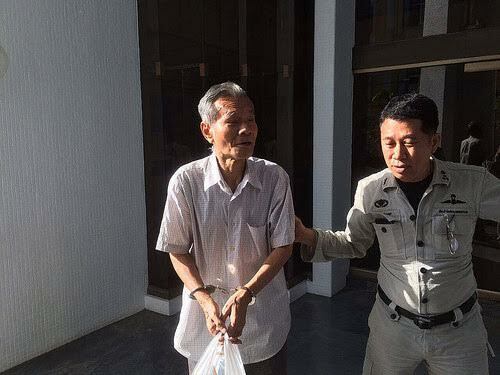 He was released on 400,000 baht (12,270 USD) bail due to his age and poor health. He is one of the few lèse majesté suspects granted bail by a military court. This trial is still ongoing. In the latest case, if convicted again, his jail terms will accumulate. Please write letters to the authorities below, asking them to drop all charges and prosecutions of Mr. Bundit Aneeya, since his alleged acts were nothing more than the exercise of freedom of expression and were consistent with the Thai Constitution. I am writing to voice my deep concern regarding the latest limitation of freedom of opinion and expression in Thailand. According to Thai Lawyers for Human Rights (TLHR), on 15 November 2016 at 3:40 p.m., police officers from Chanasongkram Police Station arrested 71-year-old Bundit Aneeya from his house. The police informed the elderly writer that he was accused of committing an offence under Article 112 of the Criminal Code (lèse majesté offence), for allegedly making comments about the Thai monarchy at a political seminar about the junta-sponsored constitution drafting process on 12 September 2015. After his lawyer from TLHR filed the second petition asking for bail to the military court, he was released on a surety bond of 400,000 Baht (approximately 12,270 USD). He is one of the few lèse majesté suspects granted bail by a military court. I am very concerned about this case. Mr. Bundit’s comment merely raised awareness of some principles which should be included into the new constitution. It is undeniable that impunity, human dignity, justice, and democracy are recognized as basic principles to be part of a democratic constitution. If the Thai government wishes to restore democracy in Thailand, Mr. Bundit’s comment should be accepted and not punished by law. In addition, I would like to point out that although Mr. Bundit passed the “Attitude Adjustment Program” after he finished his comment, the police eventually accused him with lèse majesté offence. This is a violation of his right to freedom of expression. Therefore, I urge the Thai government and authorities, particularly the Royal Thai Police, to immediately drop charges and end all acts of judicial harassment against Mr. Bundit Aneeya. « INDIA: Trying misogyny welcome, but how about curbing all crime against women?